The Chassis & Safety and Tyre Divisions of leading international automotive supplier and tyre manufacturer Continental are partnering the Global NCAP ‘Stop the Crash’ information campaign, an initiative of Global NCAP, the London, UK-based umbrella body of the worldwide NCAP consumer organizations for new-car safety testing. ANCAP, Asean NCAP, China NCAP, Euro NCAP, Japan NCAP, Korea NCAP, Latin NCAP and US NCAP and the Insurance Institute for Highway Safety (IIHS), define the standards that vehicles must meet to be awarded top safety rating of five stars. In Europe, crash avoidance and mitigation systems such as adult and child occupant protection systems, pedestrian protection systems and assistance systems such as Electronic Stability Control (ESC), Autonomous Emergency Braking Systems (AEBS), and Adaptive Cruise Control (ACC) systems are a basic requirement for achieving this rating. “We are delighted to be partnering with Continental in this new initiative to promote crash avoidance systems and tyre safety. To achieve the United Nation’s target to cut by half road fatalities by 2020 we need to strongly promote the fitment of ESC, AEBS, and ABS in motorcycles especially in the rapidly motorizing countries of Asia and Latin America. Our campaign aims to raise awareness of these life-saving technologies. If we can accelerate their use so will we make faster progress towards a world increasingly free from road fatalities,” stated David Ward, General Secretary from Global NCAP. 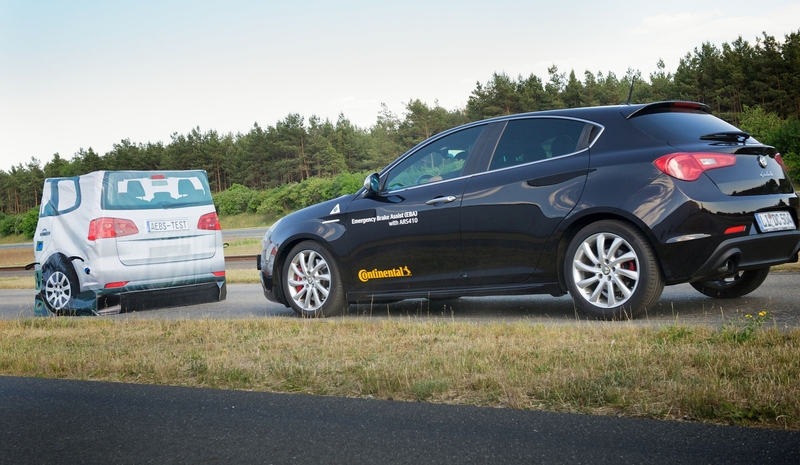 Throughout the ‘Stop the Crash’ campaign, Global NCAP and its partners, including Continental, will be holding driving demonstrations to raise awareness of the benefits of safety technologies that are already being volume-produced and to encourage their adoption in subcompact and compact models too. The regional focus will be on densely populated developing countries, where large numbers of vehicles are sold in these vehicle segments. 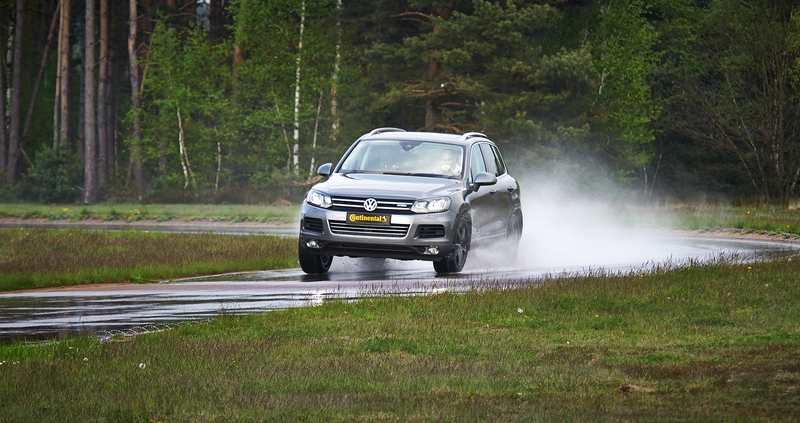 In terms of vehicle technology the focus will be on ESC, AEBS, and Motorcycle ABS, while on the tyre side the importance of adequate tyre pressure and tread depth will be highlighted. “Tyres are the sole point of contact between the vehicle and the road. All forces transmitted to the road are put down via a footprint no bigger than the size of a postcard. In a critical situation, it is the tyre that determines whether the vehicle can stop in time – or whether it stays safely on course through a corner. This is why we want to inform as many drivers as possible, all over the world, about the safety benefits of using high-tech tyres inflated to the correct pressure and with adequate tread depth,” says Nikolai Setzer, Member of the Executive Board of Continental AG and President of the Tire Division. “From now on, we will be positioning the technology-oriented Continental premium tyre brand even more closely around the long-term goal ‘Vision Zero’, an area in which Continental as a company stands to benefit from synergies among its broad portfolio of safety technologies." Continental expects the twice-yearly ‘Stop the Crash’ demonstration events in countries such as China, India, Malaysia, and Mexico to raise awareness of the benefits of state-of-the-art safety systems, and of tyre-related topics. The aim is to achieve a further significant improvement in global road safety and further steady reductions in the number of traffic fatalities, injuries, and accidents.